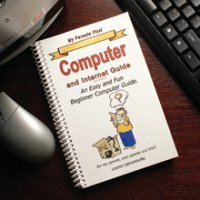 Explaining how a computer works to someone who’s retired and have gray hair (or none at all) could end up to be an extremely frustrating experience, especially for the younger generation that lives in an instant world. The Introducing My Parents First Computer Guide helps in this aspect as it makes the computer and this strange entity known as the Internet less intimidating. Written in down-to-earth language minus all the jargon and technical lingo, this is the perfect gift for those senior citizens who want to jump onto the digital bandwagon. You can pick a copy today for $19.95 and help bring a dentured smile to your aging parents.